A new law in Brazil has come into force under which employers can be fined if they fail to register their domestic workers. 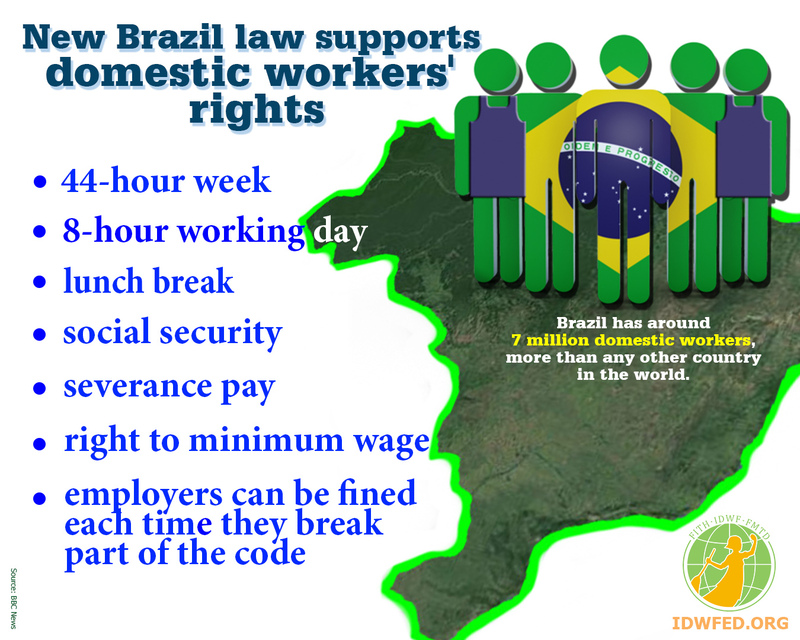 It is part of new measures to provide basic protection for some seven million domestic workers long excluded from Brazil's stringent labour laws. Employers can now be reported and fined several hundred dollars each time they break part of the code. A constitutional amendment limits domestic workers to a 44-hour week. It defined other rights as well - basic entitlements such as an eight-hour working day, the right to the minimum wage, a lunch break, social security and severance pay.